Fresh, crisp and sweet kernels of sweetcorn need little to no accompaniment. At our home they are enjoyed as is happily. The most popular way to enjoy sweetcorn here is to slather butter over piping hot sweetcorn, add some salt for taste and devour 🙂 You can see such stalls in malls and the roadside, whipping up a variety of flavours. 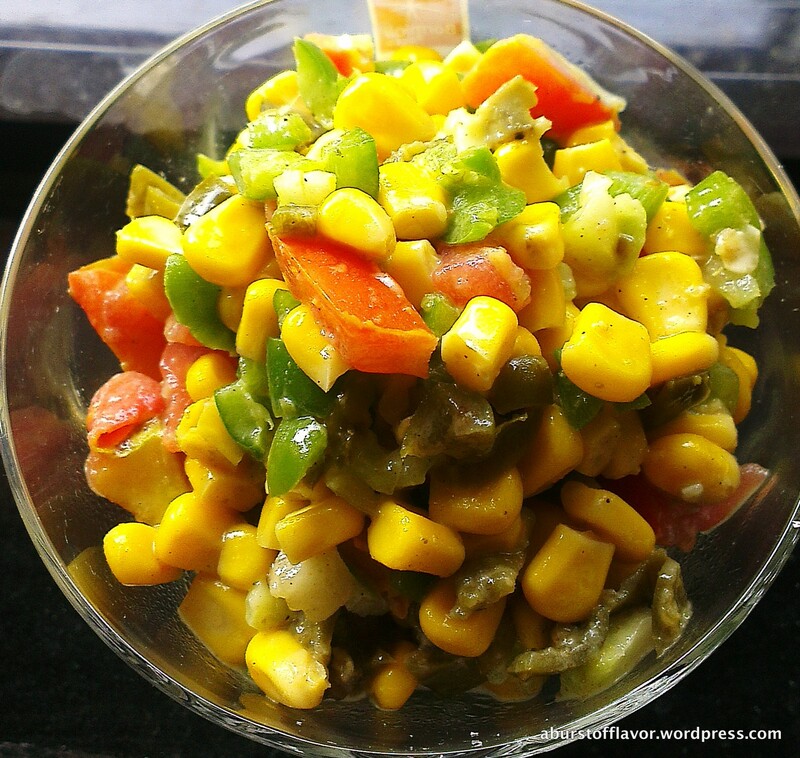 Another way to enjoy sweetcorn is in the form of an easy-peasy salad. This is so simple and flavorful that it is a great accompaniment to any meal, the bonus being that it is very quick to put together with zero fuss involved. Wash and drain the sweetcorn kernels. Set aside. 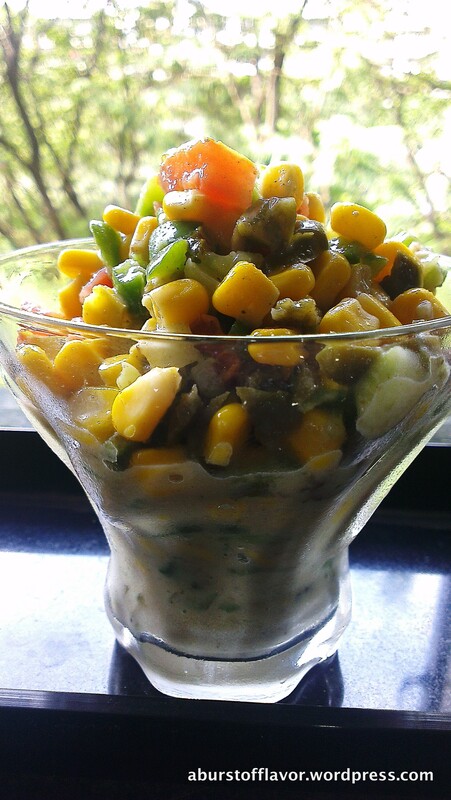 In a mixing bowl, add green bell pepper, jalapenos, tomatoes, cucumber and sweetcorn. Mix well to incorporate. Add all the items under ‘Dressing’ category to a smaller bowl and stir well with a spoon. Taste and adjust seasoning accordingly. Add this to your salad and give it a good mix. Salad keeps well in refrigerator for three days (although the dressing does tend to get a little watery due to the cucumber).